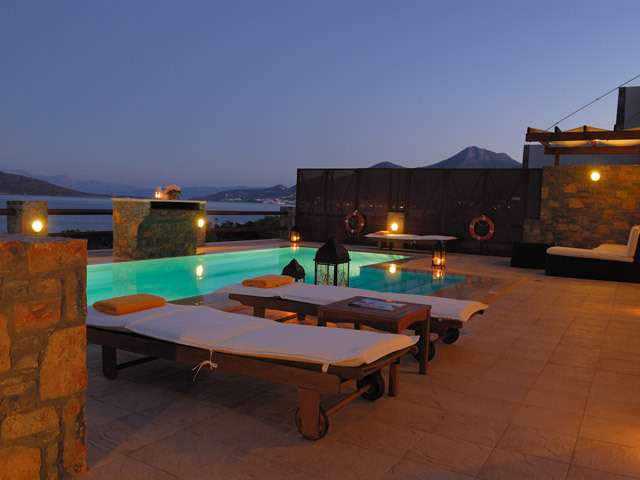 Elounda Luxurious Villa with its private beach and the exquisite and invigorating sea view of Mirabello Gulf. 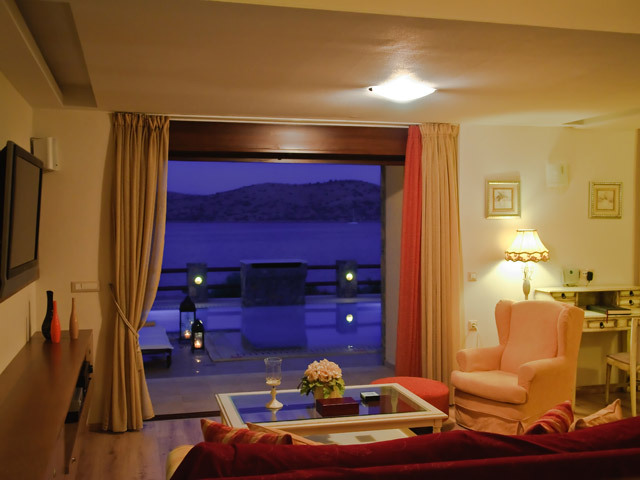 Two steps from the sea shore, Elounda Villa offers a true feeling of serenity, privacy and exclusivity in one of the most cosmopolitan and world-wide famous places, Elounda of Crete. 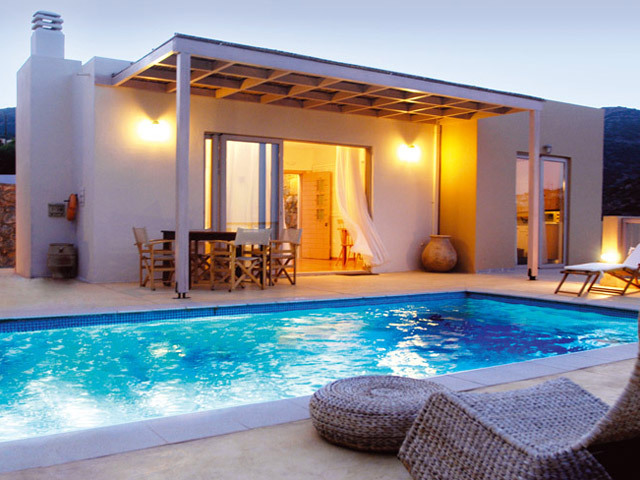 Elounda Villa is a brand-new, two-level luxurious villa that can accommodate up to 12 people. 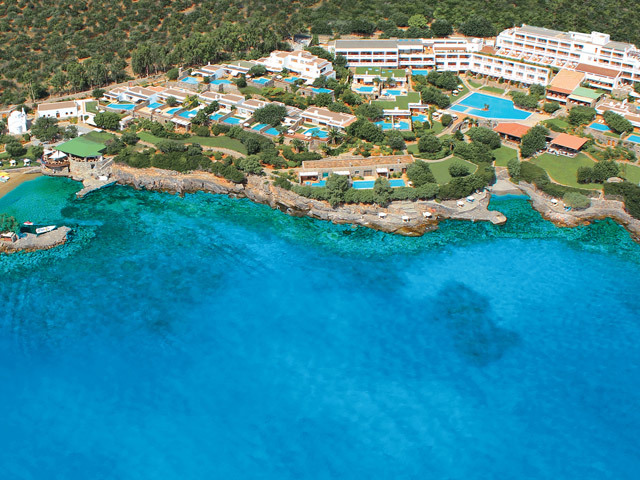 A perfect destination for families, couples, newly-wed or a friendly companionship. 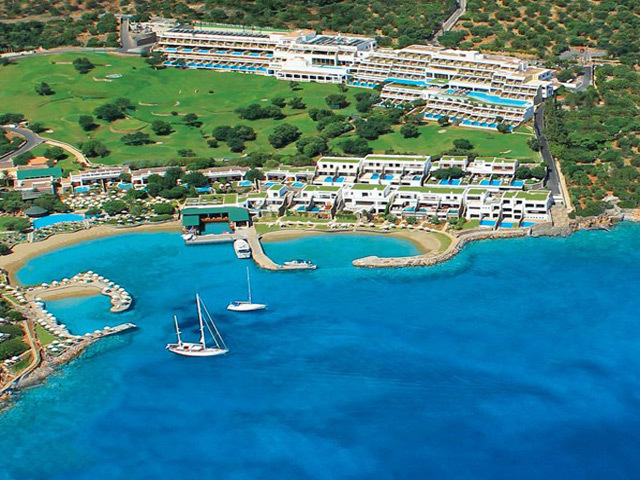 It is a dream location for a luxuriously relaxing holiday. 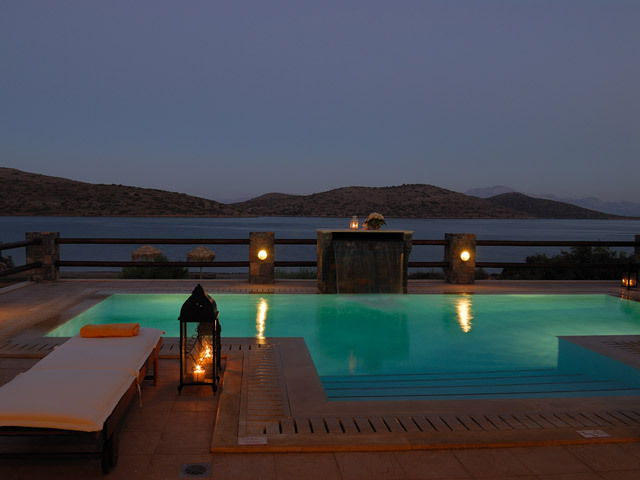 Elounda Villa is only a few meters away from the waters edge, offering a private sandy beach with peaceful water and a stoning view of the island of Spinalonga and the Gulf of Mirabello, which is located on the Northeastern coast of the island of Crete. 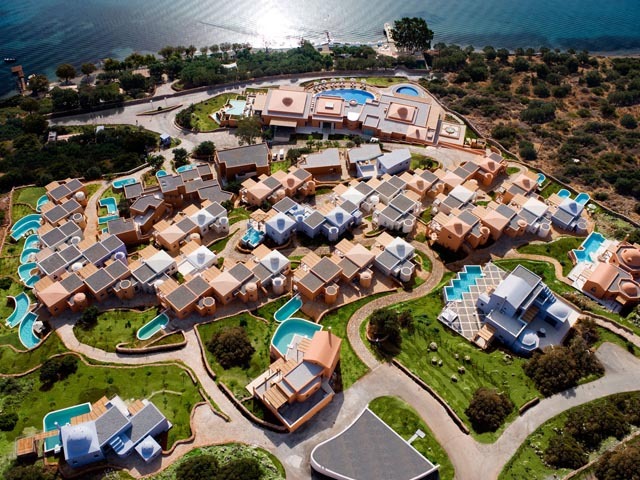 The Villa is 70 km (50 minute drive) away from the nearest airport/harbor of Heraklion, 12 km (15 minute drive) away from the nearest town of Aghios Nikolaos/harbor and 2 km away from the fishing village of Elounda. In Elounda you can visit the ruins of the ancient sunken city of “olounda” with the old Windmills as well as the Salt mines. 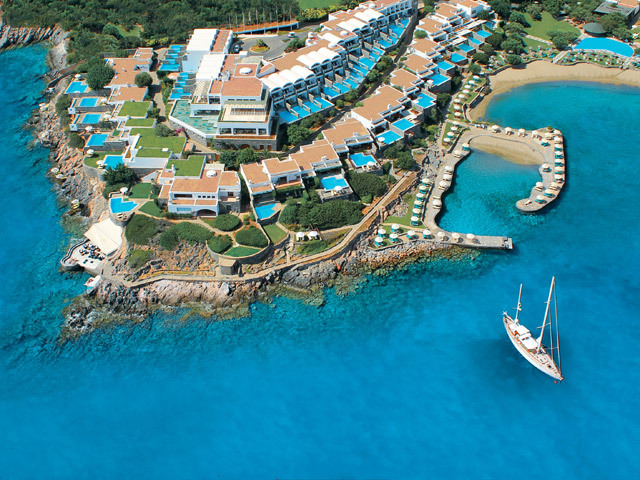 It is also known as one of the most cosmopolitan places in Crete with a lot of restaurants, traditional taverns, serving fresh fish and seafood, cafeterias, bars and a great variety of shops such as clothing, jewelry, souvenirs, supermarkets, grocery stores, bakery and pastry, fitness center, banks, post office and medical center. In the Villa’s Ground Floor a brand-new, 55sq.m, luxurious and elegant Suite has been added with separate side entrance from the main villa and a truly marvelous view of the garden and the villa’s private beach. 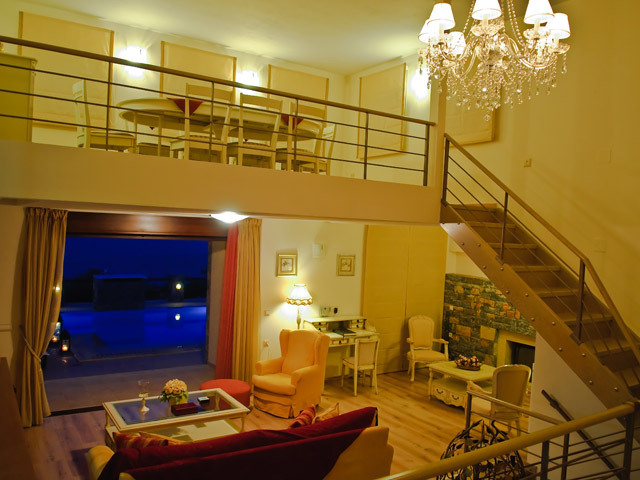 This luxurious Suite can accommodate up to 4 persons in 2 Twin beds and 1 comfortable, Queen-size Sofa-bed. Bedroom with 2 Twin beds and wardrobes. Luxurious bathroom with shower cabin. Kitchen fully equipped with electrical appliances (refrigerator, cooker, microwave oven, coffee-maker etc.) special wine cooler refrigerator, utensils and a 4-person dining table. Cozy living-room with a big comfortable corner couch, which turns into a Queen-size Sofa-bed for 2 persons, satellite TV, DVD player, Hi-Fi, Wireless ADSL Internet and autonomous air-conditioning and heating. 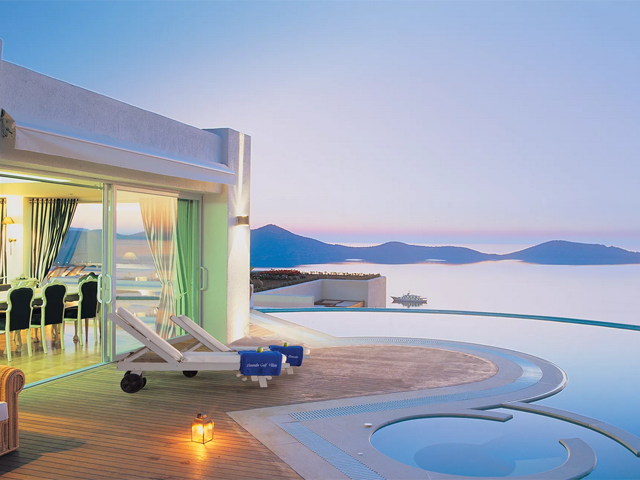 Beautiful view of the garden and the beachside. This Deluxe Suite is priced separately from the main villa and is optionally reserved but only along with the main Villa for reservations of up to 12 persons. No life guard will be on duty. Diving in the swimming–pool is not permitted.